As the sports betting industry continues to cop it from all angles in the media, The Insider asks why. As the commentary continues in light of the Federal Government’s decision to partially ban sports betting promotion on TV and radio, how is it that so many in the media – supposedly independent media at that – are getting away with misleading their audience about sports betting? Surely journalists can’t be so misinformed when it comes to discussing gambling? So often, articles and reports begin by talking about the current sports betting issue and somehow end up blurring the lines by making general statements about more harsh forms of gambling. – Latest figures show that sports betting accounts for just 1.6% of total gambling expenditure in Australia. Yes, all the recent coverage for 1.6%! – The Productivity Commission report into gambling found that wagering (of which betting on sport makes up a minor percentage alongside racing and tote betting) was responsible for less than 10% of problem gamblers. Pokies, not surprisingly, made up 80%. Sports betting is far less repetitive and thus one of the safest, most regulated and least addictive forms of gambling available. Yet the media, fuelled by a mob seemingly angry and annoyed at one individual, often conclude differently. ‘Not far enough’ screams FitzSimons, ‘this insidious practise must be stopped’ cries the Greens. How about some perspecive? Never mind about the other 98.4% of the gambling pie, most of which includes the wicked, malicious and made-to-be-addictive poker machines. Take this report on ABC TV’s ‘Lateline’ last night, where the main focus was on linking the sports betting industry to the tobacco industry! We had a bloke called Michael Moore, CEO of the Public Health Association of Australia, tell us that “This is where it really relates to tobacco. It’s that business of trying to tackle teenagers… we know they’re targeting teenagers and children.” Excuse me? Any evidence? We had a ‘mummy blogger’ tell the world that a child “on one of the sports betting sites, saw an online link to a National Australia Bank credit card that could be opened over the phone and thought he’d give that a try”. Which site? Absolute fiction. Let’s just ignore for a moment the fact that this ‘academic’ doesn’t actually produce any evidence or that suddenly sports betting has been piled in with all forms of online gambling. What Dr Sally never tells her audience or more importantly the journalist, is that she is in the pocket of the pokie lobby. Totally ‘independent’ research, yet straight from the Clubs Australia playbook. Thanks Sal. There was this report where Ben Eltham concludes that “the industry has made very little noise about the current proposal” and is thus happy with the reforms. That’s because the sports betting industry doesn’t have a mouthpiece! 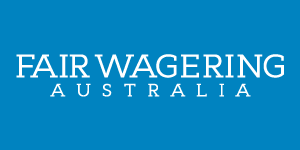 Rightly or wrongly, the Australian Wagering Council and its CEO Chris Downy have remained silent. All they had to do was point out some facts. Compare this response to the appalling campaign of misinformation by the clubs lobby over poker machine reform and the contrast is immense. Misinformed and misguided media aside, our kids can now watch sport on TV without any gambling promotion (just flick the channel over at quarter and half time!). So life is good again for all of Australia’s impressionable teenagers? Don’t bet on it. This article was originally published at OnThePunt.com. It has been reproduced with permission. Is there a blogger, writer, commentator or journalist in Australia that hasn’t written a Tom Waterhouse piece? Three months after telling us Tom Waterhouse “Has to be stopped“, The Insider returns to the issue that the whole country is talking about. In the space of three months, the promotion and advertising of sports betting in Australia has gone from a rarely mentioned distraction to what has now become a significant election issue. The 10’s on near-certainty to be Prime Minister in five months has apparently bowed to popular opinion and media hysteria and indicated that he will act on advertising in sports broadcasts. “We are natural deregulators, not regulators. But when you’ve got a significant social nuisance, it’s important for government to at least be prepared to step in,” Tony Abbott said. Hang on a minute; don’t pokies inflict the most social pain and destruction? What does he think of them? Oh that’s right, they are part of the ‘social fabric‘. And while Abbott’s at it with his plight against ‘social nuisances’, how about doing something to stop Facebook and Apple freely pushing ads for online casinos and such to kids through their phones and PC’s? Where is FitzSimons and co now? Anyway, I digress. Whether Abbott is on the mark or misguided isn’t the point. The point is – how the hell did it ever come to this? If you run a business whose primary concern is gambling, then surely the obligation is with you – no matter what the law – to RESPONSIBLY advertise and promote the business? Racing integrity issues aside, what Tom Waterhouse has done is far from responsible. Put simply, its oversaturation and an unbearably pervasive brand of promotion. I can’t quite work out whether it was an inflated ego or a genuine marketing tactic that saw him seek a “commentary” role with Channel Nine’s NRL coverage. Whatever the reason, it was pushing the envelope and it’s proved the tipping point for public opinion. Some say Channel Nine are to blame for accepting the coin and allowing Waterhouse to live his dream on the commentary team. Rubbish. When you are in the business of gambling, the responsibility must be with the operator. Even now with his ‘branded’ segment on the sideline, Waterhouse is still blurring the line between bookie and commentator. Sure, tell us the odds. Tell us where the money’s gone. But why rattle off fifteen insignificant stats in an attempt to persuade viewers that you know the game? You can rehearse the numbers for an hour before going to air and have as many people screaming down your ear as you like, but it still comes off as if you are trying to prove something that you are not – an NRL expert. So, who’s trying to defend the indefensible? Not surprisingly, some of those strongly defending Waterhouse have come from within the racing industry. These are the people with the least to lose. Racing will continue to be the true “mugs game” and any impact from any proposed advertising restrictions during sporting events will be minimal. The Waterhouse-clan puff pieces in the Daily Telegraph from the likes of Ray Thomas have been laughable and counterproductive to their cause. Standby for Kate Waterhouse sensationally revealing that her mum is a hard worker and her brother is misunderstood in next Sunday’s edition. And then there is this dinosaur. “Why the animosity against young Tom?,” asks Max Presnell. Utterly embarrassing stuff. Tom Waterhouse appears be burning a massive chunk of the family fortune in a continued marketing onslaught. Only time will tell as to whether there will be a significant return on the enormous investment. I highly doubt it. But of more concern to those within the industry, sports betting advertising has now somehow become a 2013 election issue. Which politician wouldn’t jump on the bandwagon of populist opinion? Just a few years after the lifting of cross-state advertising restrictions, one operator has gone rogue and seems intent on dragging an entire industry down with him.